Ashoka Steel Plants Manufacturing unit is a part of Ashoka Group, Ashoka is capable to carry out the entire in house expertise to design, manufacturer, deliver and start optimum steel plant. The group has established itself in the area of complete heavy project management by offering a guaranteed single source solution provider right from feasibility study, designing of equipment by using newest versions of ProE and AutoCad, manufacturing through updated and latest quality oriented machines and erection & commissioning of plant. Ashoka Group undertakes turnkey jobs for supply of complete steel re rolling mills including design, manufacture, supply and erection & commissioning of the complete plant. 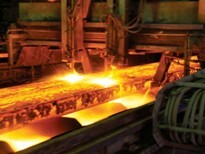 Together with that we also manufacture and supply a wide range of machineries required in a steel plant. The Group supported by expert knowledge and technological competence in this matter. Our approach to building manufacturing steel plants is studied and evaluated in all aspects, to make sure that everything is carried out perfectly. We make certain that the plant will be setup with the maximum output versus input ratio for optimum performance. We export products, services, and expertise. We are the only steel plant manufacturer that is genuinely concerned about your success. Consult with us today and discover the ways on how we can benefit each other and build a beautiful partnership for life.